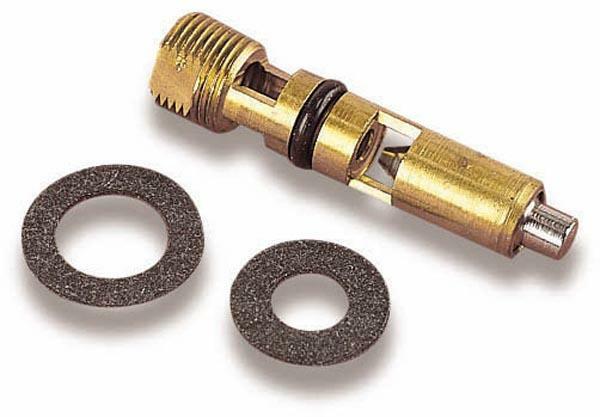 “Steel-tipped” inlet needles are necessary when using exotic racing fuels or alcohol or when using benzine or acetone additives. A .097” seat size should be used for small four barrel carburetors; a .110” seat size should be used for carburetors up to 735 CFM; larger seat sizes should be used with carburetors 750 CFM and larger. The following steel inlet needle and seat assemblies are available from Holley.